You’ve combed the landscape, and after hours of exhausting effort, you’ve found the perfect Orange County roofer. But if you think the legwork is finished, taking you off the hook, you’re in for a major surprise. True, you’re to be commended for the time and energy thus far invested. It’s helped you find a suitable professional with the skill necessary to inspect, repair, or replace your roof. But you also must make certain that you and your chosen Orange County roofing company are on the same page. And the only way to do that is by securing an agreement that spells out clearly the terms and conditions of the service to be performed. Signing this important document acknowledges your full understanding of the content contained therein. Don’t take this contract lightly. If you’re uncertain about any of its components, ask for clarification or consult an expert who can shed light on troubling ambiguities. 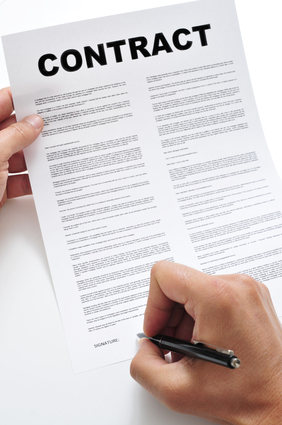 When reviewing a contract between you and an Orange County roofer, bear in mind the following. First, insist on details. Simply stating that you’re to receive new flashing, shingles, or other components isn’t enough. Ideally, you’ll want to know what kind and in what quantity (among other things). Also, know in advance as much as possible about payment terms. How much of a deposit will be required and how many days do you have to cancel? And while we’re on the topic of timelines, it’s also important to know when your Orange County roofing company will arrive to perform the agreed-upon work. Since inclement weather can strike any time, rescheduling may be necessary. Nevertheless, a clearly delineated time frame will help you set reasonable parameters and expectations. Sure, a sunny locale such as Costa Mesa rarely experiences harsh weather. Still, you’ll be much better off establishing a reliable time frame with your chosen Costa Mesa roofer. If you have questions about securing a contract with a roofing company, be sure to reach out to Luke Roofing. A long-established Orange County roofer, we provide prompt, reliable expertise for every residential roofing and commercial roofing need. No matter where you live in OC, you can count on Luke Roofing for the most efficient, reliable roofing solutions.